Get occasional emails when I post new material or announce training events. 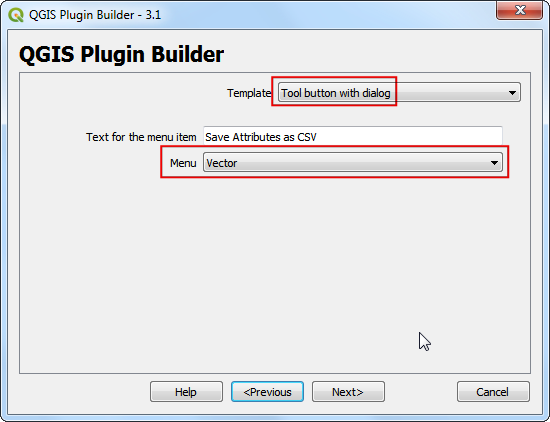 QGIS has a powerful programming interface that allows you to extend the core functionality of the software as well as write scripts to automate your tasks. QGIS supports the popular Python scripting language. Even if you are a beginner, learning a little bit of Python and QGIS programming interface will allow you to be much more productive in your work. This tutorial assumes no prior programming knowledge and is intended to give an introduction to python scripting in QGIS (PyQGIS). We will load a vector point layer representing all major airports and use python scripting to create a text file with the airport name, airport code, latitude and longitude for each of the airport in the layer. We will use the Airports dataset from Natural Earth. Locate the ne_10m_airports.zip file in the QGIS Browser and expand it. Select the ne_10m_airports.shp file and drag it to the canvas. You will see the ne_10m_airports layer loaded in QGIS. 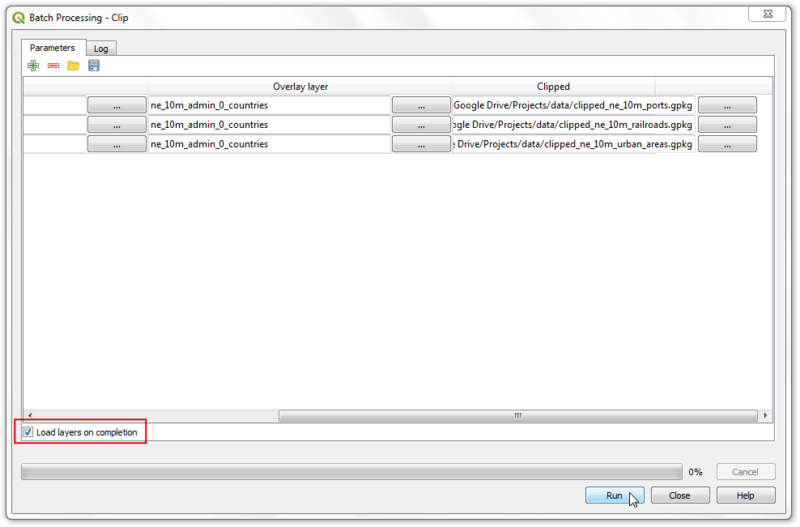 Select the Identify tool and click on any of the points to examine the available attributes. You will see that the name of the airport and it’s 3 digit code are contained in the attributes name and iata_code respectively. You can close the Identify window. 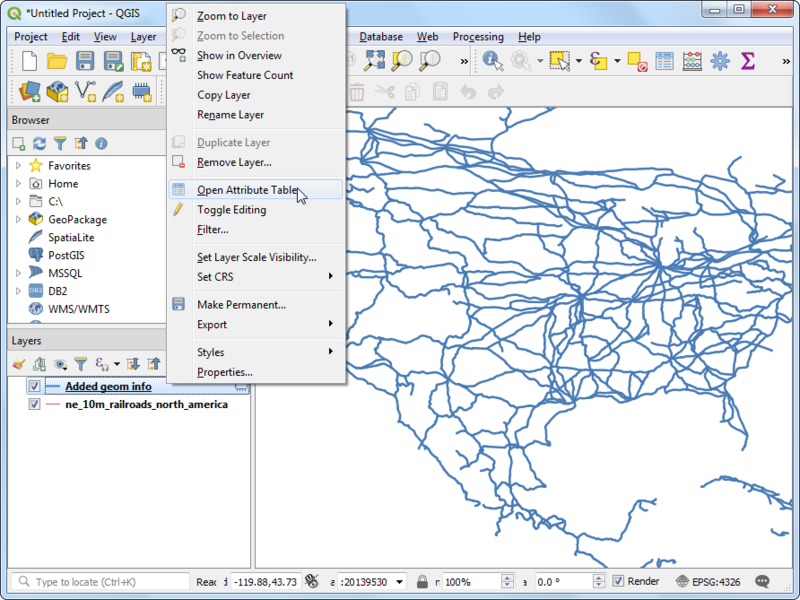 QGIS provides a built-in console where you can type python commands and get the result. This console is a great way to learn scripting and also to do quick data processing. Open the Python Console by going to Plugins ‣ Python Console. 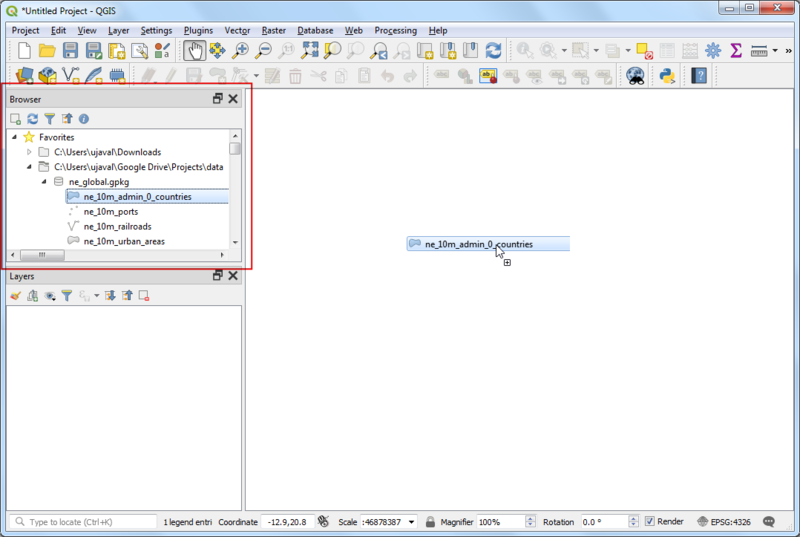 You will see a new panel open at the bottom of QGIS canvas. You will see a prompt like >>> at the bottom where you can type commands. For interacting with the QGIS environment, we must use the iface variable. 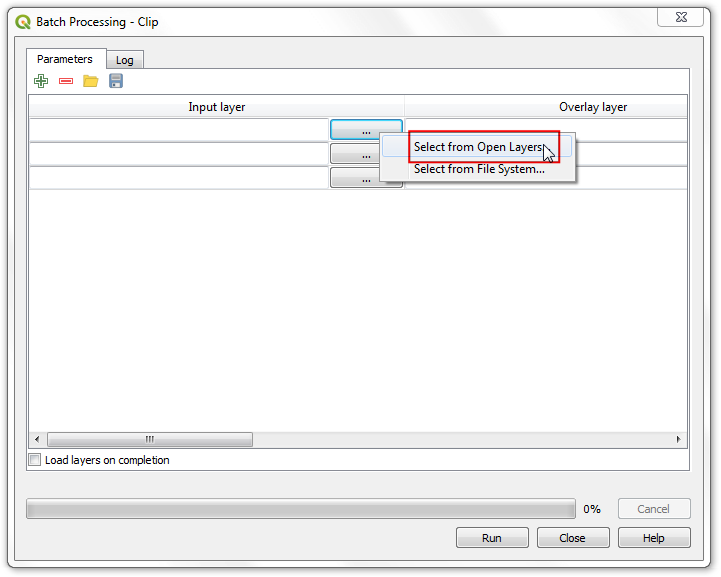 To access the currently active layer in QGIS, you can type the following and press Enter. This command fetches the reference to the currently loaded layer and stores it in the layer variable. There is a handy function called dir() in python that shows you all available methods for any object. This is useful when you are not sure what functions are available for the object. Run the following command to see what operations we can do on the layer variable. You will see a long list of available functions. For now, we will use a function called getFeatures() which will gets you the reference to all features of a layer. In our case, each feature will be a point representing an airport. You can type the following command to iterate through each of the features in the current layer. Indentation (or number of spaces before each statement) is very important in Python. If you get error in this step, make sure you have added 2 spaces before typing the second line. 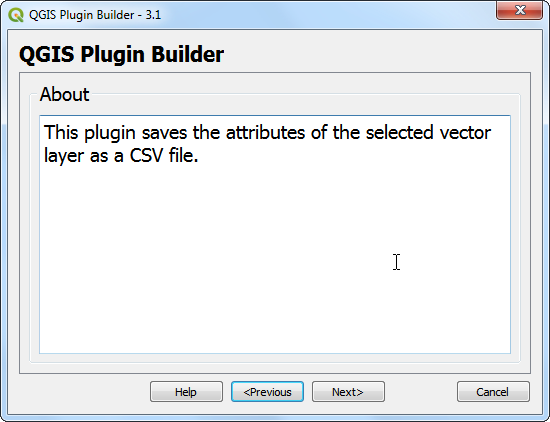 As you will see in the output, each line contains a reference to a feature within the layer. The reference to the feature is stored in the f variable. We can use the f variable to access the attributes of each feature. Type the following to print the name and iata_code for each airport feature. So now you know how to programatically access the attribute of each feature in a layer. 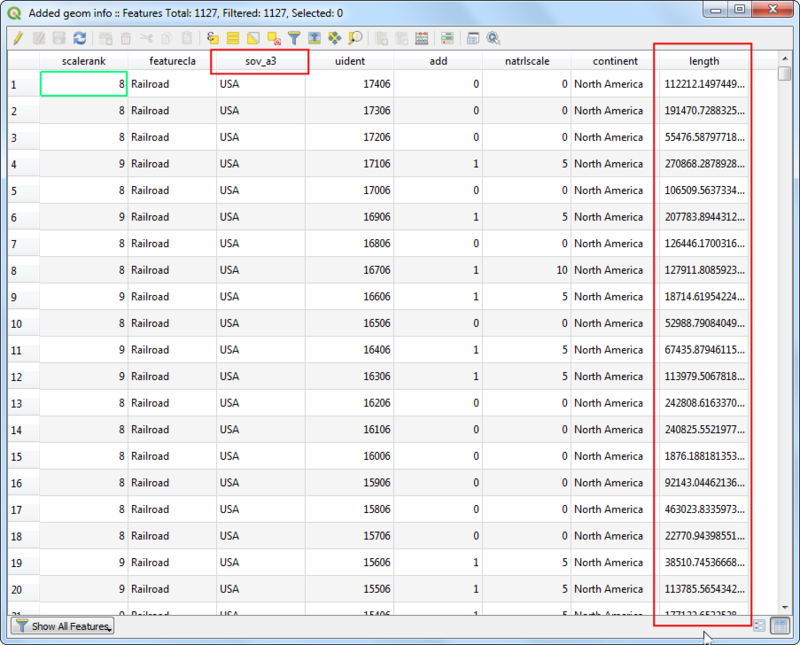 Let’s see how we can access the coordinates of the feature. The coordinates of a vector feature can be accessed by calling the geometry() function. This function returns a geometry object that we can store in the variable geom. You can run asPoint() function on the geometry object to get the x and y coordinates of the point. If your feature is a line or a polygon, you can use asPolyline() or asPolygon() functions. Type the following code at the prompt and press Enter to see the x and y coordinates of each feature. What if we wanted to get only the x cordinate of the feature? You can call the x() function on the point object and get its x coordinate. Now we have all the pieces that we can stitch together to generate our desired output. Type the following code to print the name, iata_code, latitude and longitude of each of the airport features. Here we are using the .format() method which gives more control on printing multiple variables. The .2f notation is to limit the coordinates to 2 decimals. You can see the output printed on the console. A more useful way to store the output would be in a file. You can type the following code to create a file and write the output there. Replace the file path with a path on your own system. Note that we add \n at the end of our line formatting. This is to add a newline after we add the data for each feature. There are 2 levels of code blocks below. Do make sure to add 4 spaces to the code starting line 3. You can go to the output file location you specified and open the text file. You will see the data from the airports shapefile that we extracted using python scripting. © Copyright 2019, Ujaval Gandhi. Last updated on Apr 14, 2019.